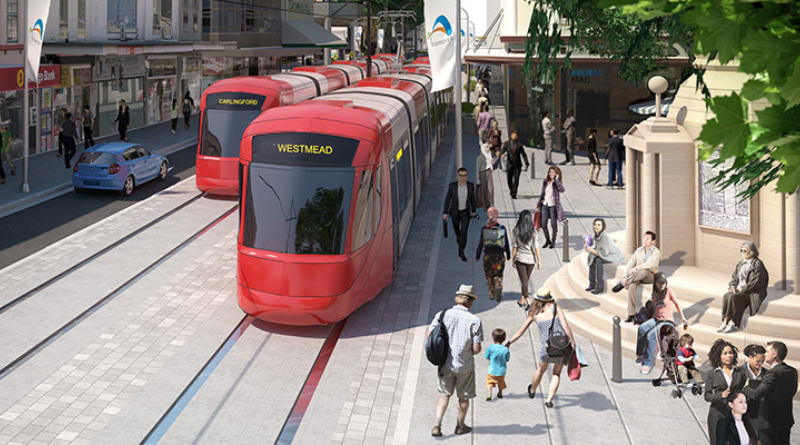 The Parramatta Light Rail will not commence in the ‘eat street’ precinct until at least 2020. Parramatta’s premier dining strip ‘eat street’ has been given a guarantee that light rail construction will not commence until at least 2020. Minister for Transport and Infrastructure Andrew Constance said the government has listened to local businesses’ concerns. “We want to give businesses as much certainty as we can, and have heard loud and clear that shops and eateries on Church Street would like as much time as possible to prepare for Parramatta Light Rail construction works,” Mr Constance said. The NSW Government’s decision follows extensive community consultation including surveys of local businesses and more than 125 community information events. “Parramatta Light Rail will provide valuable new infrastructure which will improve access to businesses, and bring more people to this vibrant restaurant and café precinct,” Mr Constance said. Transport for NSW is also investigating how Eat Street – defined as Church Street, between Palmer and George Streets – could benefit from a flexible construction schedule which works around the street’s busiest trading times, weekends, early evenings and holidays. Member for Parramatta Geoff Lee said businesses in the Parramatta CBD will also benefit from free one-on-one business support development workshops, marketing and merchandising advice from a specialist support service and the establishment of Business Reference Groups. “Businesses will be provided plenty of notice about construction start dates once the two major contracts for the project are signed by the end of the year,” Mr Lee said. Smaller site investigation works will take place in 2019 with minimal disruption. Businesses and residents will be kept fully informed well ahead of these works commencing. More information about major construction and the timeframes will be available after the final contracts are awarded by the end of 2018. Could you use some extra cash for your studies? 16 Aug, 2018, 11:06 am Siobhan Fogarty Comments Off on Could you use some extra cash for your studies?